» United States Navy Third Fleet outside Tokyo Bay, Japan, Aug 1945 soon after the Japanese surrender. 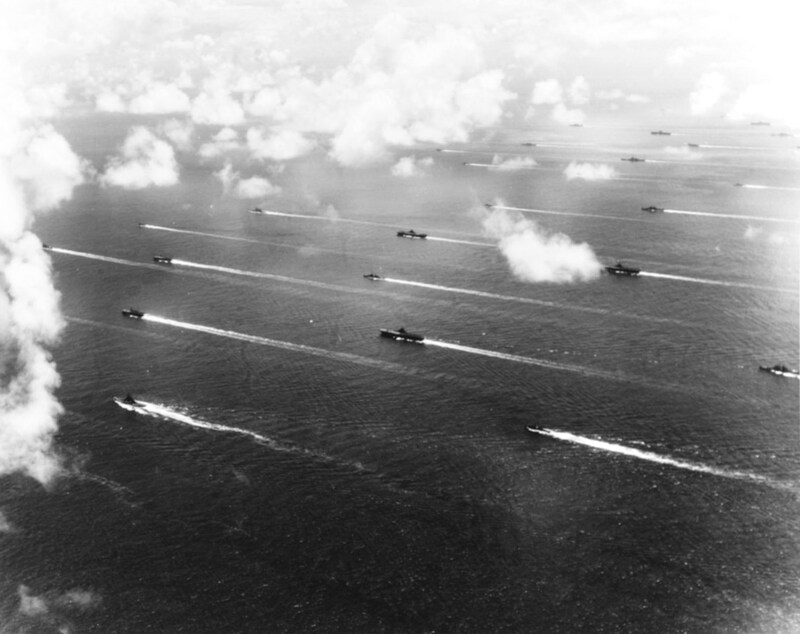 Visible are at least five fleet carriers, three light carriers, three battleships, and numerous escorts. This photograph has been scaled down; full resolution photograph is available here (1,197 by 949 pixels).